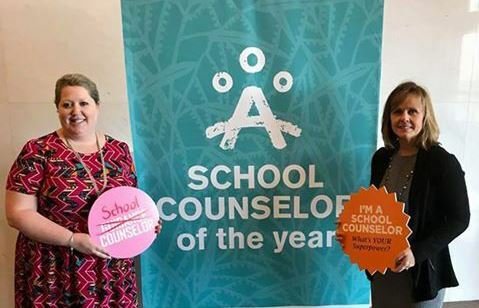 Recognizing that professional school counselors devote their careers to serving as advocates for Iowa’s students and ensuring student success, the ISCA School Counselor of the Year (SCOY) Award honors outstanding professional school counselors in Iowa. Through an extensive outreach process, Iowa counselors, teachers, administrators, and others are encouraged to nominate professional school counselors who run exemplary school counseling programs. The Iowa SCOY candidates complete a an extensive application process similar to the American School Counseling Association (ASCA) national awards process. SCOY nominees are judged by a panel of counseling professionals on multiple criteria, including: school counseling innovations, effective school counseling programs, leadership skills and contributions to student advancement. Annually one Iowa SCOY winner is chosen by the ISCA Board to represent Iowa in the ASCA School Counselor of the Year Awards process. To date, Iowa has had one national finalist and two national semi-finalists. The purpose of the four school counselor of the year awards is to recognize an elementary, middle/jr. high, high school, and multilevel (preK-12) counselor for outstanding service and achievement. The nominee must be currently employed as a full-time counselor in an Iowa school and have completed three consecutive years of counseling service at the level nominated. The nominee must be a current member of ISCA as of September 15, 2019. Nominees must have been responsible for school counseling innovations or further development of programs to support the career, personal/social and academic development of all students. Nominees must demonstrate leadership, advocacy and collaboration in their work and promote equity and access to opportunities and rigorous educational experiences for all students to maximize student achievement. The nomination form asks for basic contact information as well as for the SCA (School Counseling Association) – please just mark “Iowa” in that box! Your nominee will receive an immediate notification via email and will be asked to complete the on-line application process. Nominations for 2019 awards are now open. Nominations are due by August 15, 2019. All nominees must be a member of ISCA. Contact Troy Bergmann with questions regarding the application and/or nomination process.